A Pope Is Coming. Expect the Unexpected. Papal visits follow a fairly predictable arc — they are predictably unpredictable. 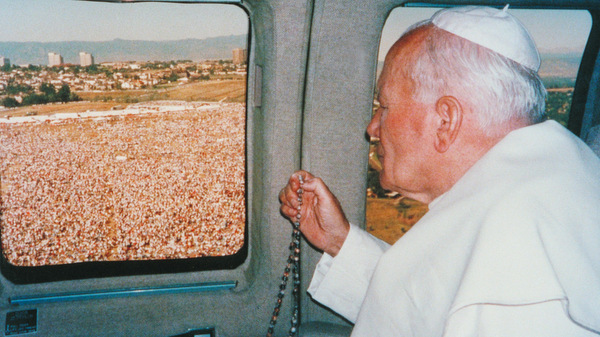 Remember Pope John Paul II’s first World Youth Day in America, in Denver? Church officials were told a cold, hostile America would give him a tepid welcome. When he got there he was overwhelmed with the good will of the huge crowds. Remember John Paul’s last World Youth Day in Toronto? They expected him to be rejected as an out-of-touch old cleric by forward-thinking Canadians. 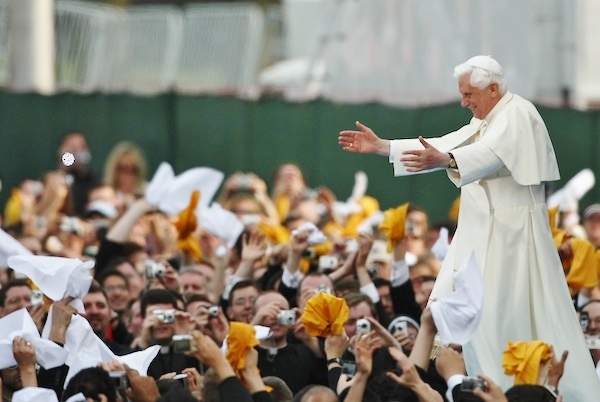 Or how about the last U.S. papal visit — Pope Benedict in 2008? They expected him to be a cold aloof pontiff dodging the elephant in the room: the abuse scandal. Not only did he not avoid the abuse topic, he brought it up again and again — and even met with abuse victims in the Boston area. Another surprise in 2008: The dour “smaller, persecuted church”-guy Americans expected didn’t show up. Instead, Benedict declared “a great jubilee of the Church in America.” He told the bishops to prepare for “the new springtime of the faith.” He spoke of “the New Evangelization” and prayed for “a new Pentecost” for America’s church. And he summed it all up with his “Thy Kingdom Come!” message at Yankee Stadium. So what will we get from Pope Francis? I am willing to bet we are going to get a surprise. Francis has never been the guy the American media has scripted him to be. In January, he spoke out against the “ideological colonization” represented by new gender theory and decried artificial contraception, losing fans who then left the Church or merely shook their fists at it. USA Today: Pope Francis Faces a Fractured U.S. Church. NY Times: It will be a security and transportation nightmare. Huffington Post: Pope Francis will find a Church hemorrhaging members. Expect totally different stories in a week’s time: Secular journalists surprised by truth from a man who doesn’t stick to the script we expect of him.